If you didn’t grab supplies during the summer sales then now is the time to shop for school supplies, a few weeks after school starts. The stores are starting to make room for Halloween stuff, I know hard to believe it’s already here. My favorite spot, Target, has just marked down a large portion of their supplies 50% off and I’m sure they will go to 75% soon if there are any left. I’m sure other products will be added soon. If you haven’t made a Teacher Supply Box like I posted here, but are still interested, now is a great time to gather your supplies. During my shopping trip I grabbed a bunch of Colored Construction Paper, White Construction Paper and Drawing Paper for making crafts with my girls throughout the year. I also found a large pencil box to create our Homework Station for my Kindergartner. Plan to post more about her Homework Station in my next post. I found some School stickers to donate to my daughter’s classroom too. They even had some cute die cute letters I plan to use to help my little one with her sight words this year. I always grab a few extra boxes of crayons, markers, pencils and glue during the sales to keep on supply at home throughout the year. 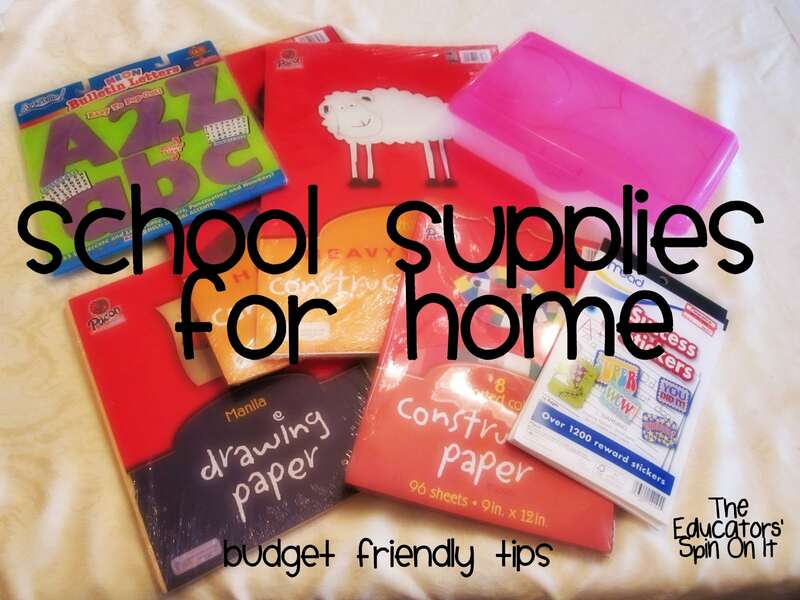 Here is a super cute unit on School Supplies to do with your little ones. Thanks for including us our email is theeducatorsspinonit@gmail.com, we'd love to participate!